London: Robson Books, 2003, Hardback in Dust Wrapper. From the cover: “Kirk Douglas once implored Donald Zee to ‘put the knife in gently’ — a variant on Hollywood’s dictum: ‘I don’t care what you say, just spell the name right’. Donald Zee’s celebrated entertainment column appeared in the Daily Mirror for more than twenty years and he spent much of that time in Hollywood. He developed close friendships with many of the celebrities of the fifties, sixties and seventies and became one of the few journalists they trusted. 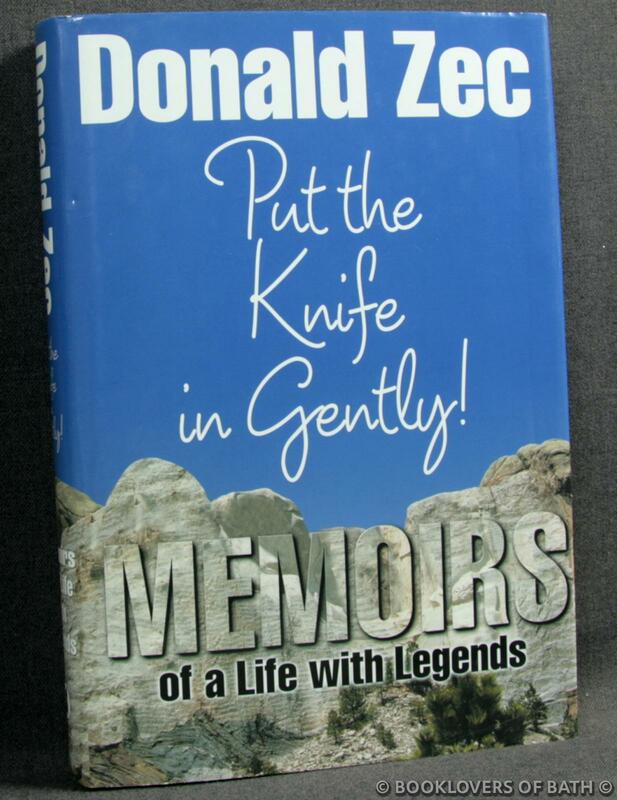 Put the Knife in Gently is a witty and revealing look at Zee’s experiences with Hollywood’s legends. Sailing with Humphrey Bogart on his yacht the Santana; encountering Gary Grant in his hotel room as he washed his dainty ladies’ smalls (a traveller’s tip, not a fetish); having coffee with Marilyn Monroe at her apartment; experiencing the spectacle of Richard Burton and Elizabeth Taylor in full flow; joining John and Yoko on the bed during their honeymoon protest — all this and much more is recounted with humour, insight and affection. Size: 9½" x 6¼". Blue boards with Gilt titling to the Spine. [X] 308 pages.